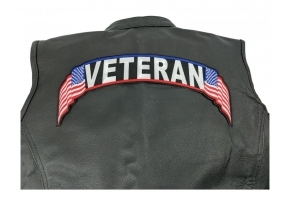 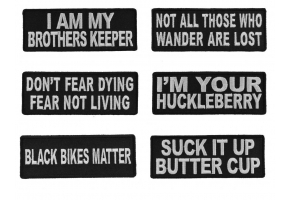 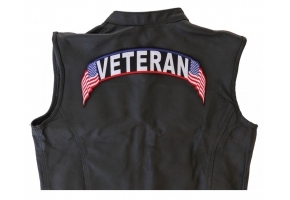 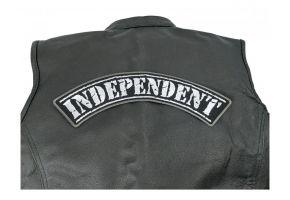 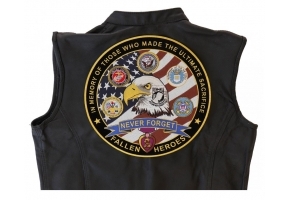 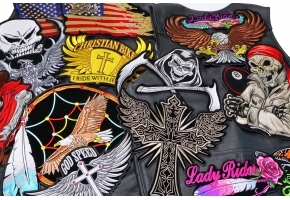 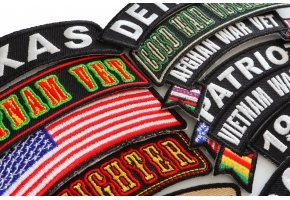 The Vietnam Vet Rocker Patch is Embroidered in the shape of a top rocker to go on the top back of your leather vest or jacket. 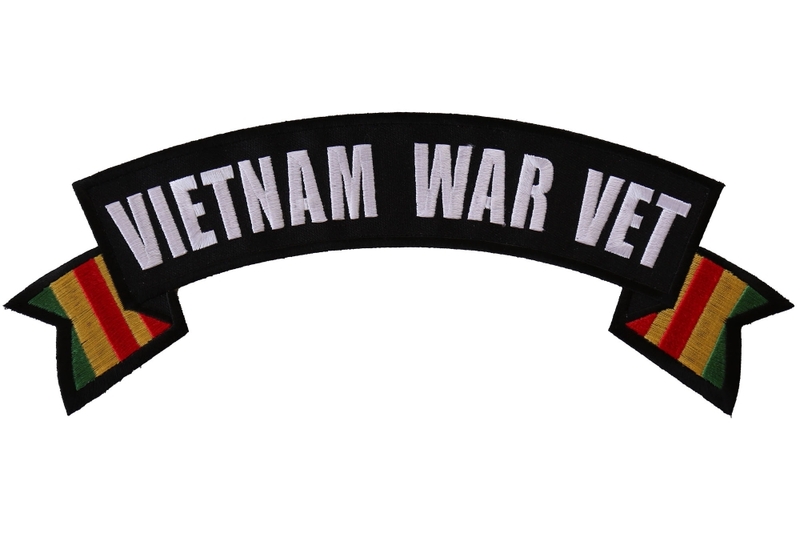 Measures 11x4.5 inches. 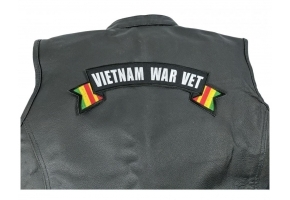 For all Vietnam War Veterans. 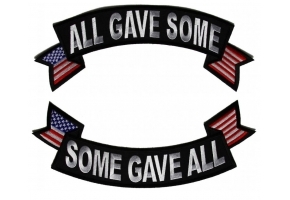 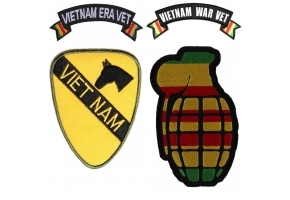 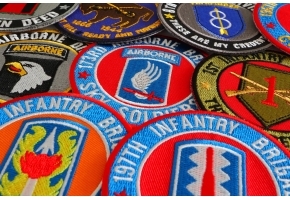 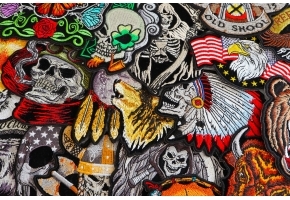 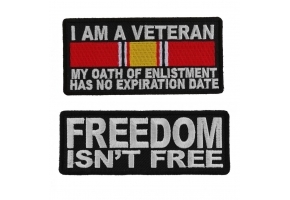 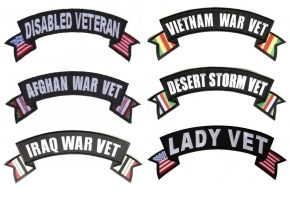 The Vietnam Ribbon colors are embroidered on tips of the patch.